Now you have the power to recharge your Blackberry, iPhone, iPod, PDA and cell phone wherever you are - even on an airplane with WiFi! 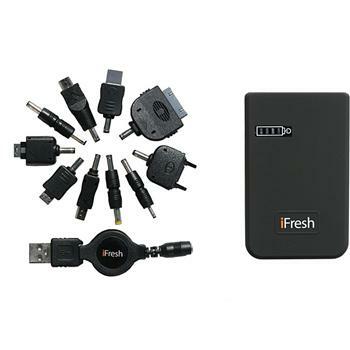 The iFresh brings your device to full power in just minutes, and is fully rechargeable itself so you can use it again and again. Plus this charger is slim and lightweight so it easily goes where you go.